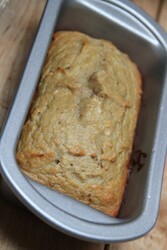 I’m not a HUGE banana person, but I’ve always liked banana bread. 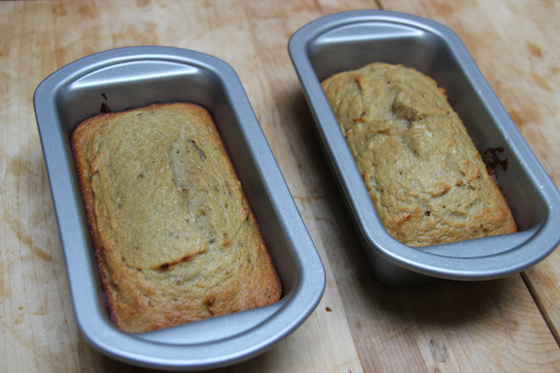 There’s something about the warmth of the flavors – the banana, the spices, and although I normally don’t care for nuts in baked goods, I’ve never even minded nuts in banana breads I’ve had. I’ve only made banana bread a few times in my life, but the recipes for it are so simple, and the basic results so consistent, it really is a great thing to bake, even if you don’t bake often. 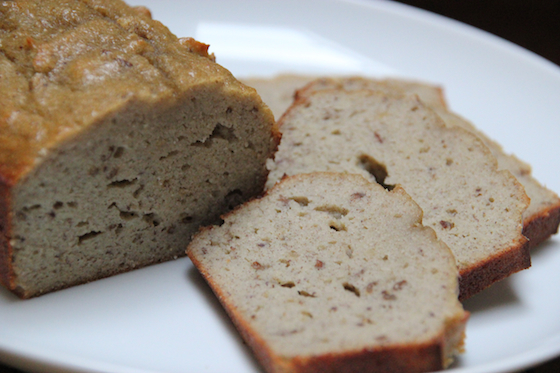 People love banana bread. If you know us (or have been reading the blog), you know we try to eat Paleo. One of the things that is NOT a staple in the Paleo diet is bread. So while we don’t really eat much bread anymore, there are “paleo-friendly” ingredients out there with which one could make a bread-type treat. Since I never was that into baking, I haven’t experimented too much on my own with Paleo baked goods, so I always am intrigued when a Paleo cookbook of mine has cool baking recipes in it. One of the cookbooks I have and love is “Make it Paleo” by Bill Staley and Hayley Mason, and today I decided to try their recipe for banana bread. 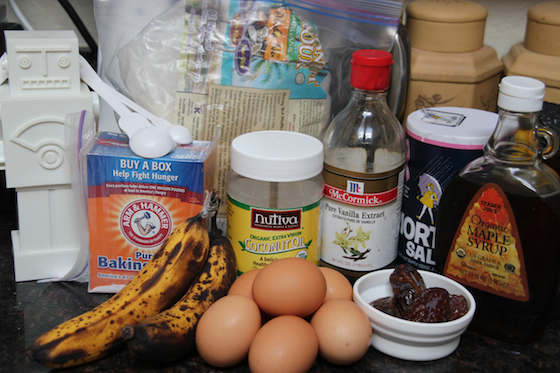 Here is all you need to make Paleo banana bread (awesome robot measuring cup set not necessary, but super cool – there’s a red one, as well!)! 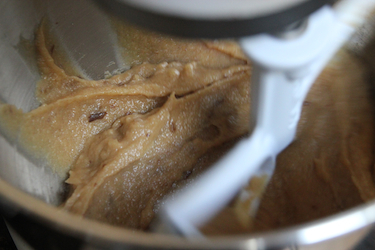 Dates are a great, non-refined sweetener to use in almost any recipe. 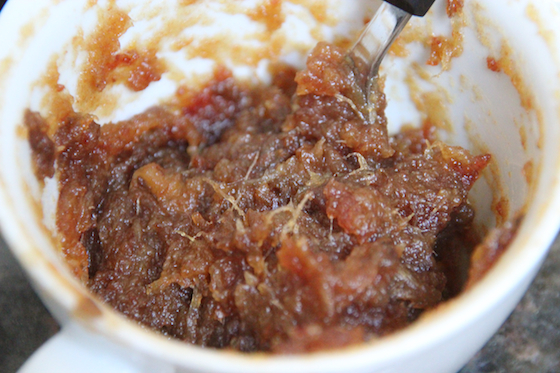 In “Make it Paleo” they make a date mixture with the maple syrup and dates by basically just microwaving them along with some water to soften them, then mashing everything together to make a paste (this way the dates are easily incorporated into the other ingredients). 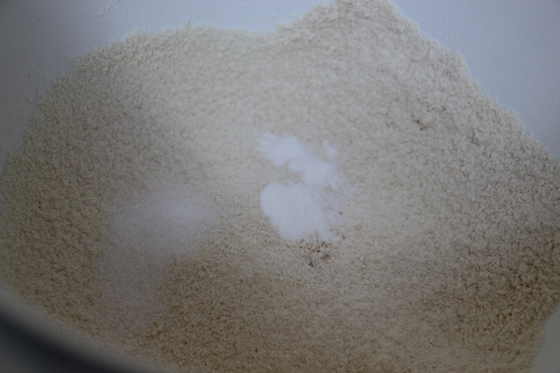 I sifted the coconut flour into a mixing bowl, and added the salt and baking soda. You want to sift the coconut flour so your batter doesn’t clump too much. 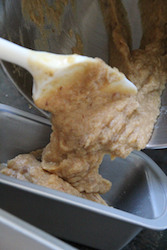 Coconut flour is literally just very finely pulverized dried coconut, and it soaks up a ridiculous amount of liquid, which can make things lumpy. 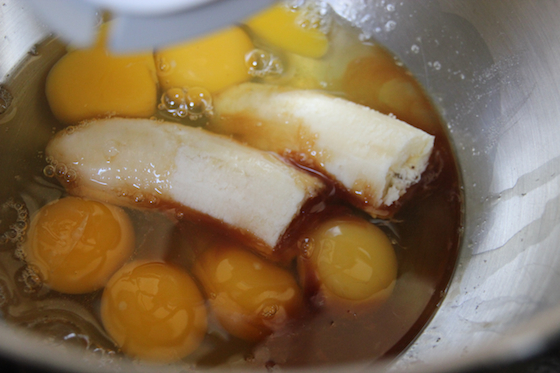 In my stand mixer, I combined the eggs, vanilla, and a banana (they looked so much more over-ripe on the outside, but this one wasn’t even bruised!). After the wet stuff was blended together, I added the date paste and mixed that in. The recipe then said to pour the wet ingredients into the dry, but why would I do that, when I had my KitchenAid all set up? Ha ha ha. I mixed the dry stuff into the wet instead (actually, I’ve always learned to mix dry into wet, so you don’t get pockets of dry mix clumping to the bowl). Then I melted the coconut oil, added that, and continued to mix it all until it was thoroughly blended. I seriously love my KitchenAid. And I love the awesome rubberized mixing blade my sister-in-law got us – the rubber on the outside of the blades basically scrape the sides of the bowl continuously – this thing totally makes batters a breeze! 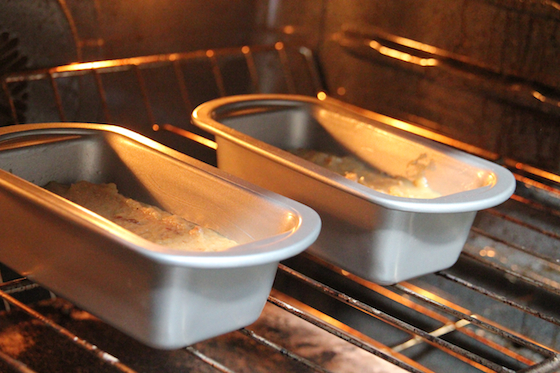 I poured the mix into two mini-loaf pans (I wasn’t sure how large these loaves would be – in my experience not a lot of paleo “breads” rise much at all – coconut flour is pretty dense). 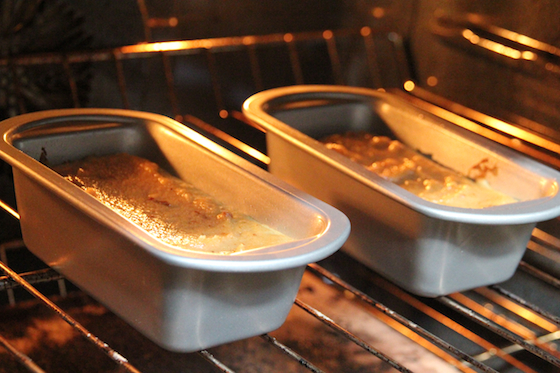 Into the oven they went! Woah, they actually rose a bit!! After about half an hour, they were done. Lookin’ good! 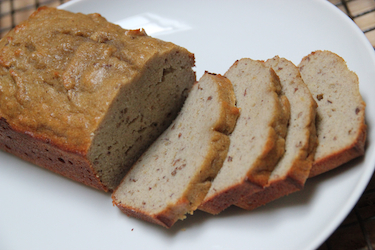 As you can see, this bread is not as airy or fluffy as some other banana breads – but we liked it a lot. It’s not too sweet – and I actually appreciate the denseness of this bread (some banana breads can be almost mushy because of all the banana in them). While we won’t be having this that often, it’s a nice treat to toast up in the morning!